Carbon dioxide levels in the atmosphere are rising. 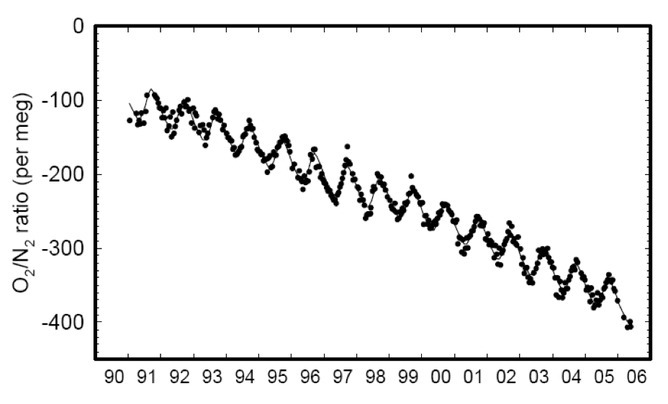 This graph showing the data is called the Keeling Curve. The small up-and-down pattern is caused by changes during each year - in the summer in the northern hemisphere, there is more photosynthesis which causes CO2 levels to fall. The Keeling Curve is named after the scientist who first produced accurate measurements of carbon dioxide in the air - Charles David Keeling. 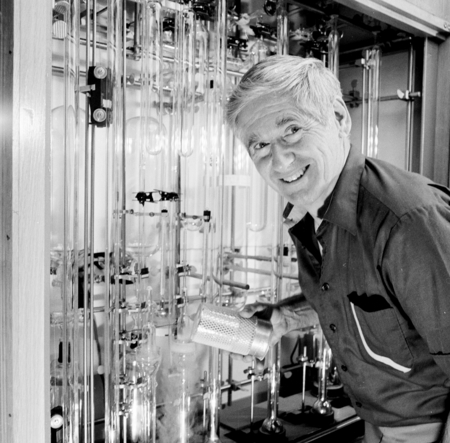 Charles David Keeling in the lab. Keeling's collection of data began in 1958. March 2015 was the first time for hundreds of thousands of years that CO2 exceeded 400 ppm for a whole month. 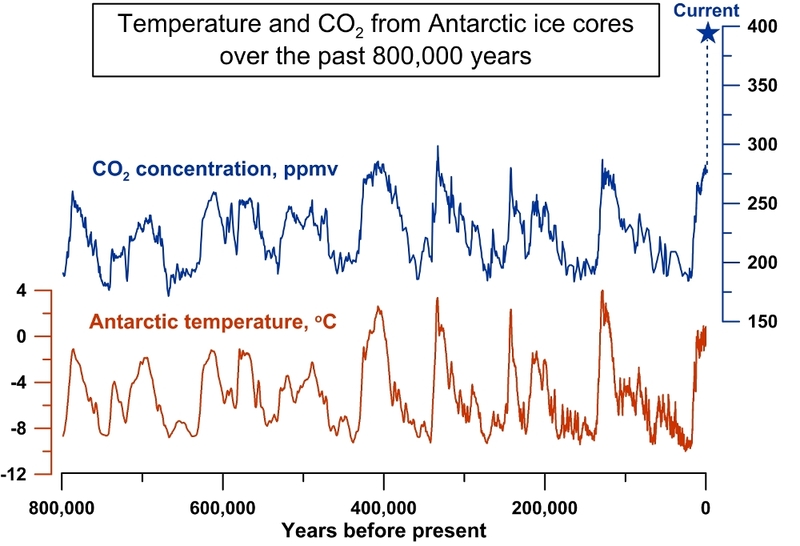 Ice core data shows humans have never breathed air containing so much CO2. Since Keeling began recording, CO2 has risen from 318 ppm to 400 ppm... a rise of around 25%. There is evidence that CO2 has never risen so fast since the extinction of the dinosaurs. Carbon reacts with oxygen when fossil fuels are burned. Measurements show that this is reducing the oxygen in the air as time passes. This is all evidence that extra carbon dioxide in the air comes from burning fossil fuels. In 2010 about 9 Gigatonnes of Carbon (GtC) were emitted from burning fossil fuels, as 33 Gigatonnes of CO2 gas. How much is 33 Gigatonnes? 33 billion tonnes or 33,000,000,000,000,000 grams. 9 Gigatonnes of carbon weighs about the same as 132 billion people. The amount of carbon we are putting into the atmosphere each year is equal to 20 times the weight of the current world population.